It’s a double elimination episode, which means there’s no time for credits and little time for strategy talk at the top of the episode, because they have an immunity challenge to get to. Aubry runs away with it, which is good for her screen time considering she’s been lurking in the background for most of the season. To her credit, Aubry recognizes she hasn’t had the chance to make any big moves so far. The cold open does quick work to set up the first half of the episode as a battle of wills between Andrea and Sarah. 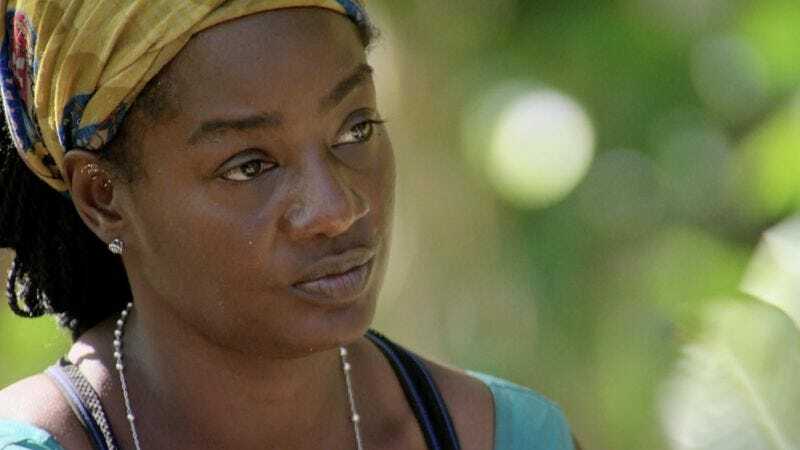 The one fun wrinkle in this standoff is that Andrea is sure her allies are on her side, but both Cirie and Aubry seem very reluctant to get rid of Sarah at this point. Tribal at 20 minutes into the episode will never not be weird. It’s also an immensely unsatisfying Tribal because it’s so perfunctory. The only satisfying part was just how shocked Andrea was to get voted out. She really, really thought she was running things. 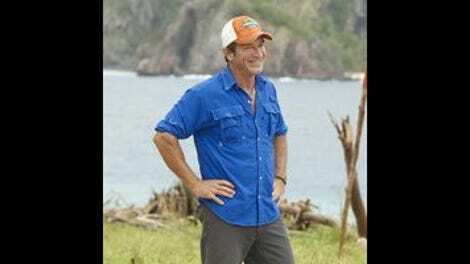 Brad winning immunity at least makes the second half of the episode a bit more interesting than it could have been. Interesting, and also confusing, because it involves idols and traded advantages, and double crossing. The riskiest move comes from Cirie, who considers a double-double cross by using the “steal a vote” Sarah gives her and then taking out Tai instead of Aubry, who Sarah wants gone. It’s such a confusing sequence that it doesn’t help me understand what Cirie was thinking at all. The second Tribal is extremely boring, right up until the moment Cirie goes to use Sarah’s advantage and discovers that the advantage is actually non-transferrable. This completely blows up Cirie’s game and Tribal turns into yet another strategy free-for-all—complete with tons of whispers—before the vote. Sarah then uses the steal a vote herself to steal Tai’s vote. It’s utter chaos, and then everyone votes for Michaela. I have no idea, folks. My general distaste for this episode comes down to the fact that I just don’t care for double elimination episodes in Survivor. They’re fun in Big Brother because they’re live, and because Big Brother is a terrible game. But Survivor is a good game, and the magic of Survivor is seeing all of the strategy twists and turns throughout the episode. Losing those means turning the show into something far more concerned with hitting the necessary goalposts than crafting an intriguing story. Surely, these two episodes may not have had enough story to stand on their own, but squished together like this they are just uninspiring and bland. It especially does a disservice to the second half, which was mostly nonsensical. Next week is the season finale, and thank goodness for that.